Generally, roofing types and roofing products are typically divided into two primary categories: steep slope roofing and low slope roofing. 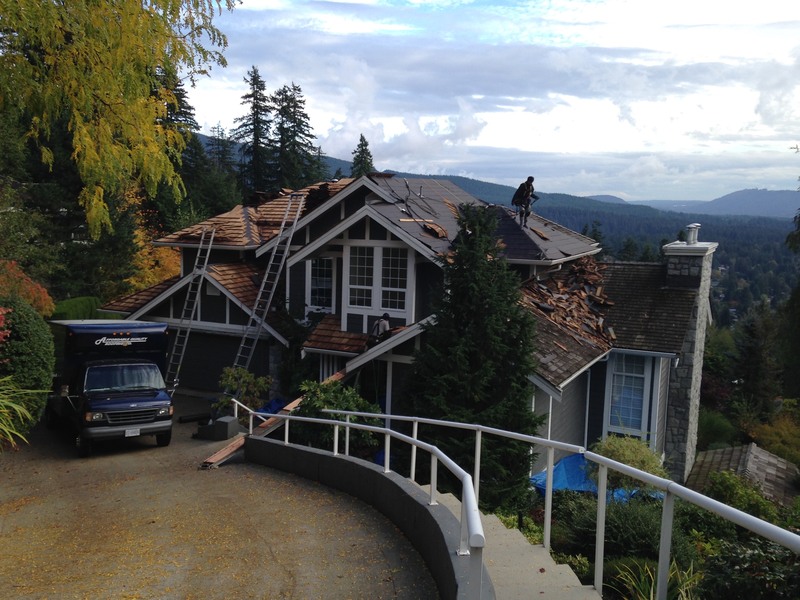 Sometimes steep slope roofing is also referred to as “residential roofing” due to the fact that most single family homes are constructed with some sort of pitch or slope to the roof. Just as steep slope roofing is often referred to as residential roofing, the term low slope roofing is oftentimes synonymous with “commercial roofing.” Again, this is due to the fact that, predominantly, commercial buildings have “flat” roof designs. Slope roofs are the most common type of roof. While they are more expensive than flat roofs at the outset, their longer lifespan and smart design protects against the elements. This means slope roofs are more cost effective in the long run. Rain, hail, snowfall, and high winds are among the most common causes of damage to a roof, but due to having sloping sides, the drainage system incorporated into the design of a slope roof is far superior to that of a flat one. Water can pool on a flat roof causing rotting rafters, eaves, and softening shingles, increasing the chances of blow-off and billowing. It can also cause water to leak into your house, damaging ceilings and walls. Not only are slope roofs and their incorporated drainage system better in the rain, lower maintenance costs and greater energy efficiency make installing a slope roof a wise idea. Additionally, slope roofs allow for the creation of attic space that can be converted into extra bedrooms, adding greater value to your property. The most common types of slope roof are Gable and Hip roofs, and each has its own advantages. Gable is the simplest design, easy to construct and cheap to install, while a Hip roof is more suited to harsh weather. A traditional and aesthetically pleasing look. Efficient and easy drainage of rain water and snow. It can be easily constructed. Economically beneficial in the long run. Making a decision about which company should handle your Slope Roofing needs is difficult. Why not visit our showroom and browse our installed samples, customer portfolio, and learn more about any product you need from our educated and professional staff? We are located at 520 Mountain Hwy, North Vancouver, V7J 2L4.